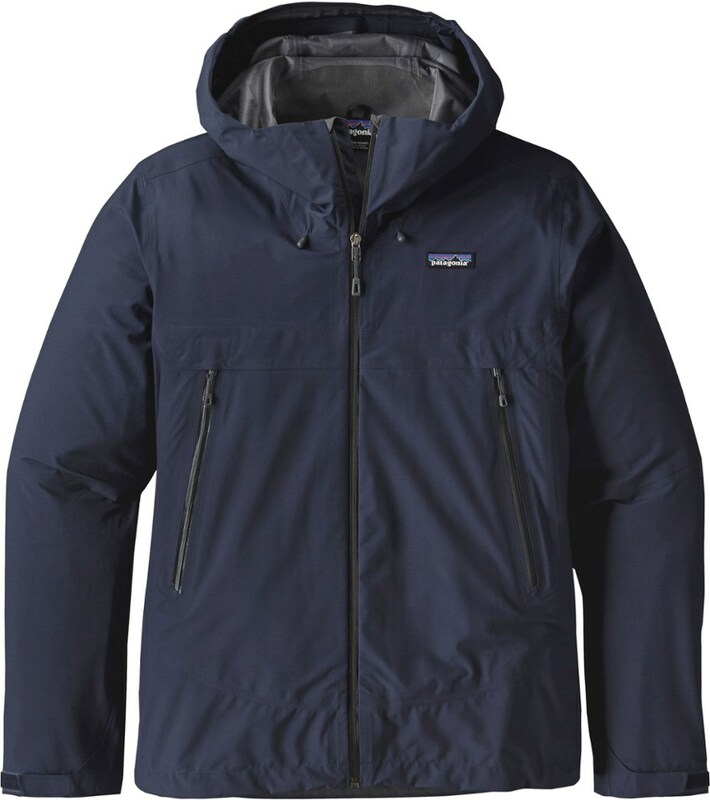 Patagonia Men's Cloud Ridge Jacket - The light and packable Patagonia Men's Cloud Ridge Jacket features H2No Performance Standard waterproof/breathable protection and the next-to-skin comfort of 3-layer fabric, making it ideal in wet and humid conditions. Depending on where you live, soaking storms can be a novel occurrence or simply wetness as usual (were talking to you, PNW, Eastern Seaboard, B.C., Japan). 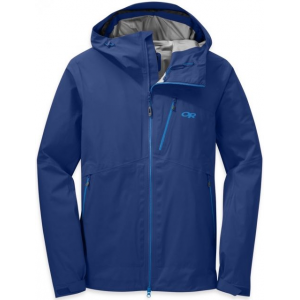 For those who move regularly through super-humid zones, the new Cloud Ridge Jacket balances reliable H2No Performance Standard protection with environmental impact in a simple yet robust jacket. 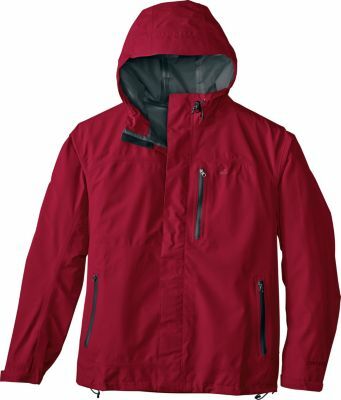 Thoughtfully built with a 100% recycled 3-layer polyester fabric and a recyclable polyester barrier and backer, it offers waterproof/breathable protection and next-to-skin comfort in wet, sticky conditions. The 2-way-adjustable, alpine helmetcompatible hood with laminated visor rolls down and stows away with a simplified cord-and-hook design, while soft microfleece on the neck and chin goes easy on your skin. The watertight center zipper has a minimal interior storm flap and two ventilating mesh hand pockets (with coated, watertight zippers) that sit between a packs waist belt and sternum strap. With hook-and-loop cuff closures, a drawcord hem and stuffsack with clip-in loop. 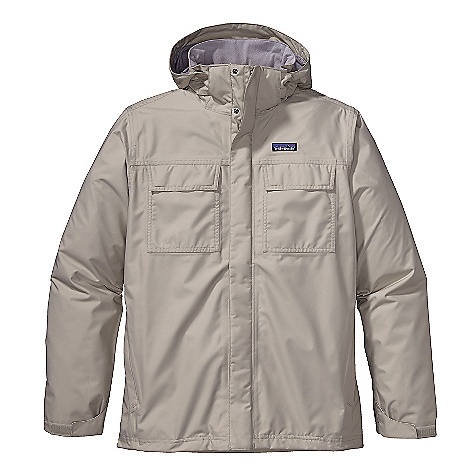 The packable Patagonia Cloud Ridge jacket combines a recycled waterproof/breathable shell with the essential features you want in a rain jacket for simple, functional weather protection. 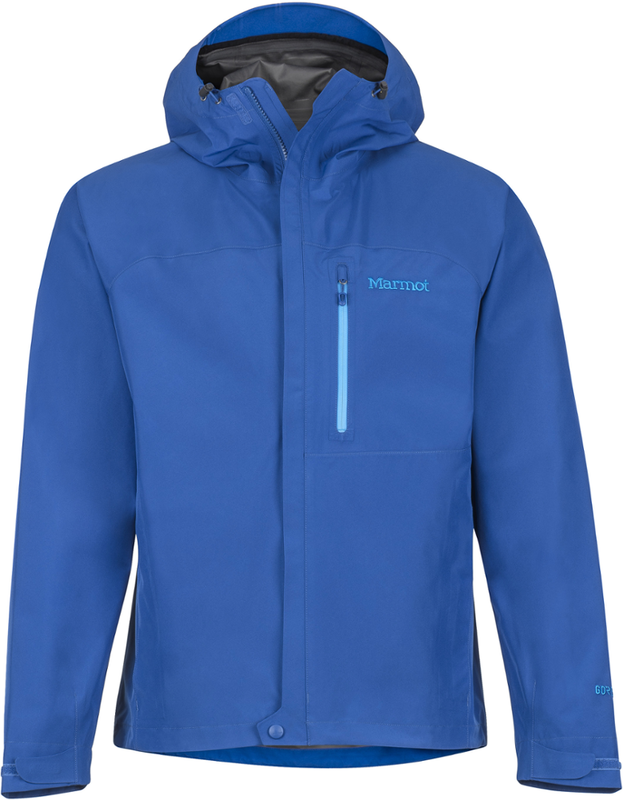 Whether you're facing a potentially baselayer-soaking-storm or trekking through wet, sticky conditions, rely on the Patagonia Men's Cloud Ridge Jacket to keep you dry and comfortable. 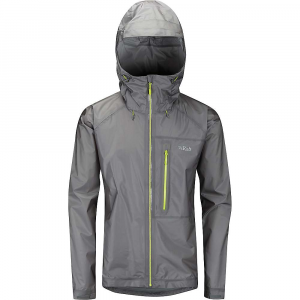 Constructed with a 3-layer H2No Performance Standard shell, this jacket is simple, yet robust. 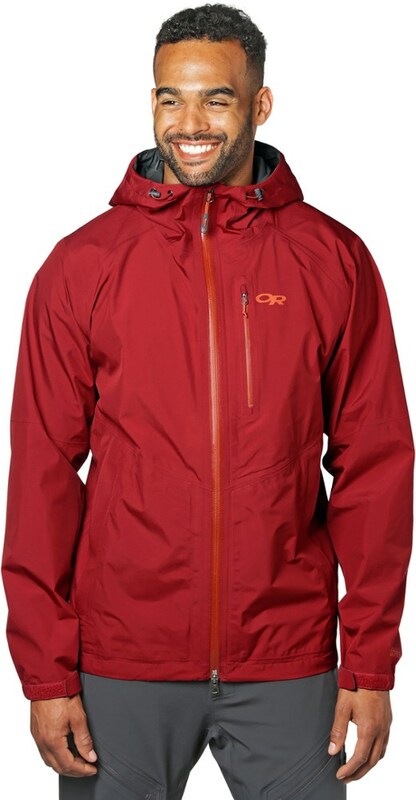 Ventilation, integrated into the two mid-set pockets, helps prevent overheating when you're on-the-move. A helmet-compatible hood provides extra weather protection when you're scaling rocky faces or navigating glaciers. Patagonia also included a lightweight stuffsack with clip-in loop for easy transport and storage on those rare sunny days.